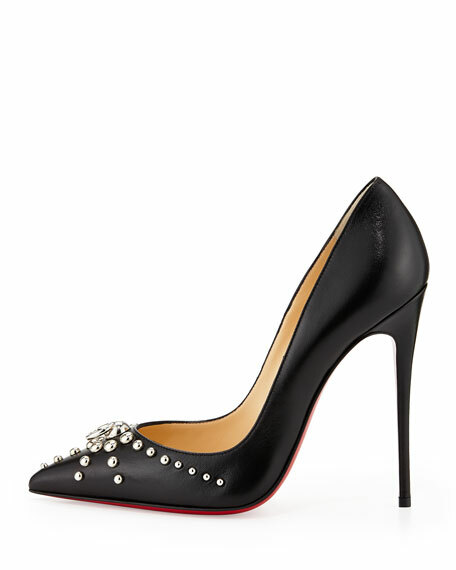 Christian Louboutin pump announces your arrival in classic black leather with silver studs and hardware. Christian Louboutin kidskin pump with silvertone hardware. Studded pointed toe with door-knocker ring detail. Leather lining and padded insole. Christian Louboutin signature red leather sole. "Door Knock" is made in Italy.